23 Hour Plumbing is comprised of professional, fully qualified plumbers and gas fitters. We are a national company servicing all metropolitan areas of Adelaide, Melbourne, Brisbane, Sydney, Canberra and Perth for all residential, commercial and industrial plumbing or gas fitting requirements 24/7. Should you require a licensed and fully accredited plumber any time of the day or night, 23 Hour Plumbing can assist we have weekend plumbers, public holiday plumbers and afterhours plumbers on call for any gas fitting or plumbing emergency that may rear its ugly head. 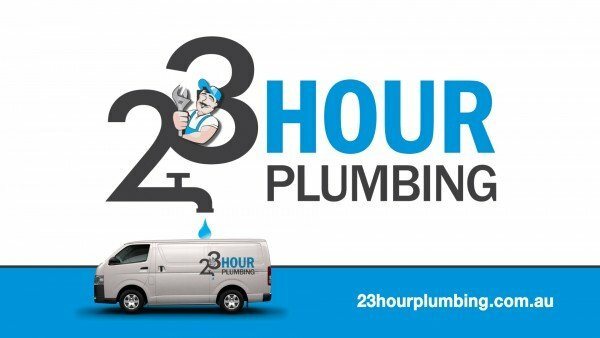 In a gas or plumbing emergency 23 Hour Plumbing’s goal is to be at your location within 23 minutes* of your plumber booking for a prompt, affordable and reliable repair, replacement or new installation service. Our plumbing vans are fully stocked and tracked with the latest GPS equipment, allowing us to provide you with a precise time of your plumber’s arrival, which we adhere to! We will have your blocked drains cleared and cleaned in an instant and offer pipework repairs, replacements or new installations if required. Our gas leak detection and repair service is second to none and should you require a new hot water heater supply and installation, 23 Hour Plumbing will assist 24/7. Our payment options include cash, cheque, Visa, MasterCard or American Express. Credit card payments can be made on site as our plumbing vans are fitted out with all of the necessary equipment. We also provide our customers with the option of NO INTEREST EVER* payment plans, allowing your plumbing emergency to be repaired immediately but relieving you of any financial stress that may come along with this. Service Response – quick, effective and accurate. Price – we are committed to provide the best value for money at all times. Quality / Reliability – meeting our customer’s expectations through our Quality Assurance and Management Systems and Culture. Delivery – Committed to provide service on time all the time and strive to meet last minute requests. Competence – technical knowledge and expertise providing solutions that meet your requirements. Reputation – Years of ongoing commitment in the industry. Problem Solving and Personal Service – trained staff are available at all times to discuss your problems and offer solutions. Philosophy – We believe our customers are our Business and Future. #A division of Plumbing & Gas Pty Ltd.